If you are one among the 5 lakh voters of Mahadevapura, this is what you need to know! 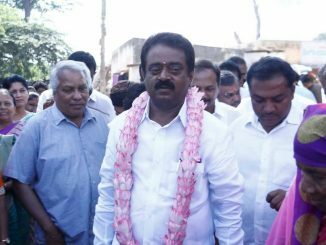 What did Mahadevapura MLA Aravind Limbavali do in the Karnataka Assembly in his 2nd term? How did Aravind Limbavali spend his Local Area Development (LAD) funds? Profession: Founder and CEO of Rixyncs India Inc. Demands from Constituents: Mahadevapura Manifesto was collated by the volunteers of Million Voters Rising. very little open spaces and parks for the public. The constituency has active citizenry bargaining with the administrations for better infrastructure and quality of life. Whitefield Rising, a citizen group, has been active in getting more and more eligible people registered as voters, with its Million Voter Rising campaign. No of voters now: 470,878. 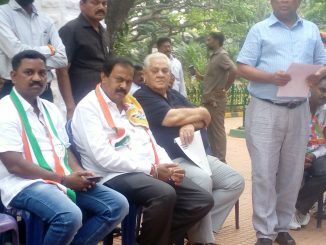 After shifting to Indian National Congress from JDS, the Akhanda Srinivas Murthy is re-contesting in the same seat.